DENMAN (AUS) (Brown 2006-Stud 2010). 9 wins-3 at 2-to 1400m, STC Golden Rose S., Gr.1. Sire of 122 rnrs, 55 wnrs, inc. SW Fitocracy (SAJC Schweppervescence S., Gr.3), Kuro, Law - Turf Sprint (H.K. ), Pinch River, Shigeru Sendan, SP Caro Kann, Denpurr, Igraine, Piacenza and of Secret Trail, Grapevine, Denmagic, Our Vidia, Dendee, Rose of Man, Viascon, Don't Deny Us, Easy Flyer, Important, Inkulu, Ionlythinkofyou, Jacoman, I Bought a Horse, etc. GLAZE, by Danzero. 3 wins to 1250m, SAJC Express Colour H., 2d SAJC Spring Gully Foods H., 3d MRC Glasshouse Cafe H., Oakbank RC Adam Internet H., 4th BOP RC Tauranga Classic, L. Half-sister to Golden Harvest. This is her second foal. Her first foal is a 2YO. Golden Harvest (Al Maher). 5 wins at 1200m, HK$6,524,125, to 2014-15, HKJC HKSAR Chief Executive's Cup, Roselle H., Japan Racing Association Trophy H., Quarry Bay H., Cricket Club Valley H., 2d HKJC Happy Valley Trophy H., Community Chest Cup, O'Brien H., 3d HKJC Bauhinia Sprint Trophy, HK-3, Sha Tin Vase, HK-3, Acclaim H., Forfar H., 4th HKJC BOCHK Wealth Management Jockey Club Sprint, Gr.2. Intrepido. 3 wins to 1300m to 2014-15, SAJC Glenelg Golf Club P.
Glaze. 3 wins. See above. Noisette. 2 wins at 1000m, 3d MRC Sportingbet H., SAJC Adelaide Galvanising H.
GOLDEN ARCHER (Rock of Gibraltar). 8 wins-5 at 2-to 1200m, A$676,950, MRC HDF McNeil S., Gr.3, VRC Streets Ice Cream S., L, MRC Heath S., L, MVRC St Albans S., L, TTC Gold Sovereign S., L, VRC Monjon Australia H., Western Health Sponsors 2YO P., MRC Sportingbet 2YO P., 2d MRC Schillaci S., Gr.2, VRC Aurie's Star H., Gr.3, 50 Years Fashions on the Field S., L, MRC Vain S., L, 3d VRC Lightning S., Gr.1, MRC Blue Diamond Preview (c&g), L, 4th ATC Pago Pago S., Gr.2, MVRC Ian McEwen S., Gr.3. La Praline. 4 wins to 1400m, A$128,862, MRC Geoff Murphy H., SAJC Capital Transport H., One Toyota H., 2d MVRC Device Technologies H., MRC Selangor Turf Club H., SAJC Centrebet H.
Marzipan. 2 wins. See above. DANASAR (Danasinga). 5 wins at 1200m, Manawatu RC Flying H., L, 2d Avondale JC Skycity H., Matamata RC Waikato Stud S., 3d Waikato RC Sprint H., L.
O'MARILYN (O'Reilly). 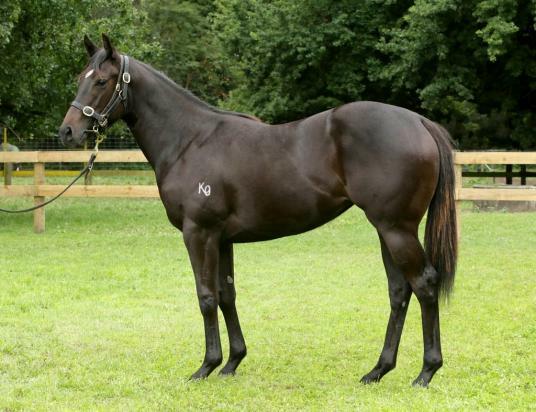 Joint Top Filly on The 2013-14 NZ 2YO Free H. 4 wins-2 at 2-to 1400m, NZ$347,825, to 2014-15, Manawatu Sires' Produce S., Gr.1, Hawke's Bay Gold Trail S., Gr.3, Waikato RC James & Annie Sarten Memorial S., Gr.3, 2d ARC Diamond S., Gr.1, 3d ARC Karaka Million, L, Waikato RC Star Way S., L.
ANACHEEVA (Anabaa). Top of 2010-11 Australasian 3YO Classification (Mile). 4 wins-1 at 2-from 1200m to 1600m, A$969,275, MRC Caulfield Guineas, Gr.1, Caulfield Guineas Prelude, Gr.3, MVRC Mitchell McKenzie S., L, 3d Australian Derby, Gr.1, 4th AJC Champagne S., Gr.1. KRONER (Viking Ruler). 7 wins-1 at 2-at 1100m, 1200m, A$358,482, STC Premiere S., Gr.2, AJC Hall Mark S., L, June S., L, Fujitsu H., Wood 2YO H., STC Rosehill Gardens Events Centre H., Parramatta Lord Mayoral H., 2d Gosford RC Takeover Target S., L.
EIRE HOSTESS (O'Reilly). 3 wins at 2, A$86,050, VRC Talindert S., L, 3d MRC Chairman's S., L. Producer. SAVOUR THE MOMENT (Savabeel). 6 wins from 1200m to 1600m, NZ$129,300, Waikato RC Sprint H., L, CJC New Zealand Bloodstock Insurance H.